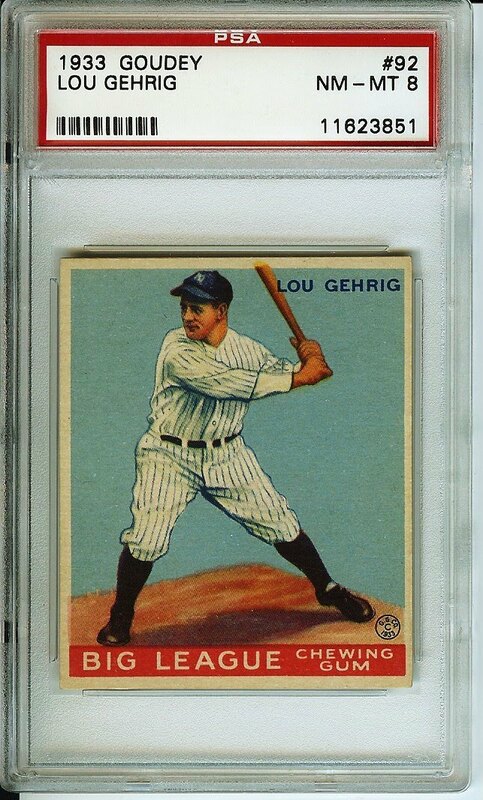 1933 Goudey #92 Lou Gehrig PSA 8!! WhereTheyAint.com just sold a 1933 Goudey #92 Lou Gehrig PSA 8 card in a private sale for $12,750!! That is 112% of the SMR Price!! !